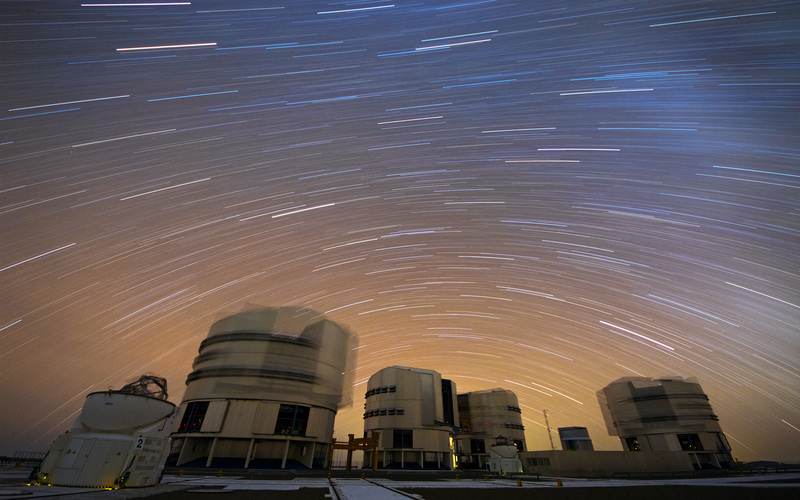 The sky over Paranal Observatory in northern Chile is a real treat for ESO's Photo Ambassadors, who are constantly experimenting with new techniques to obtain even more striking views of the unique, arid landscape and state-of-the-art facilities. 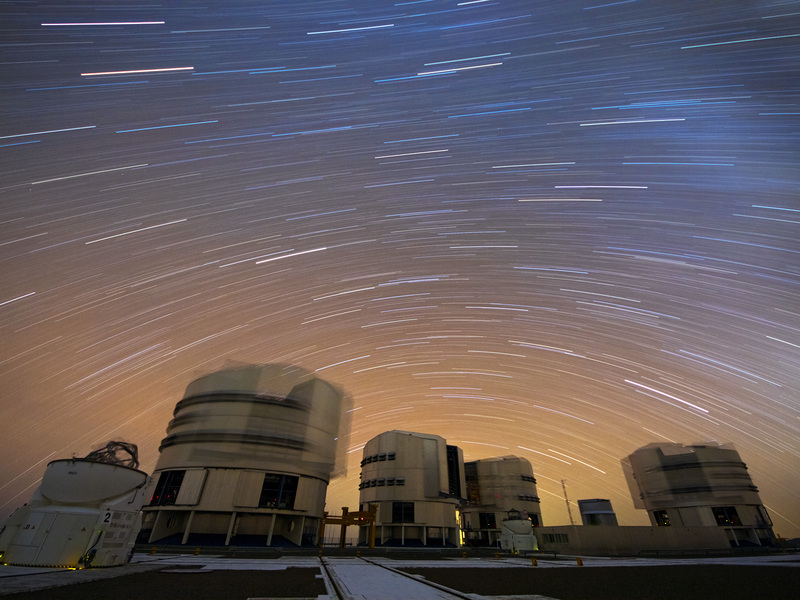 On this occasion, Gianluca Lombardi has combined many long-exposure images to get this stunning result — the Very Large Telescope (VLT) and its Auxiliary Telescopes, their motion appearing as blurred flickers beneath a stream of stars, while the apparent motion of the stars across the sky has left smeared trails that are captured on camera as the Earth rotates. 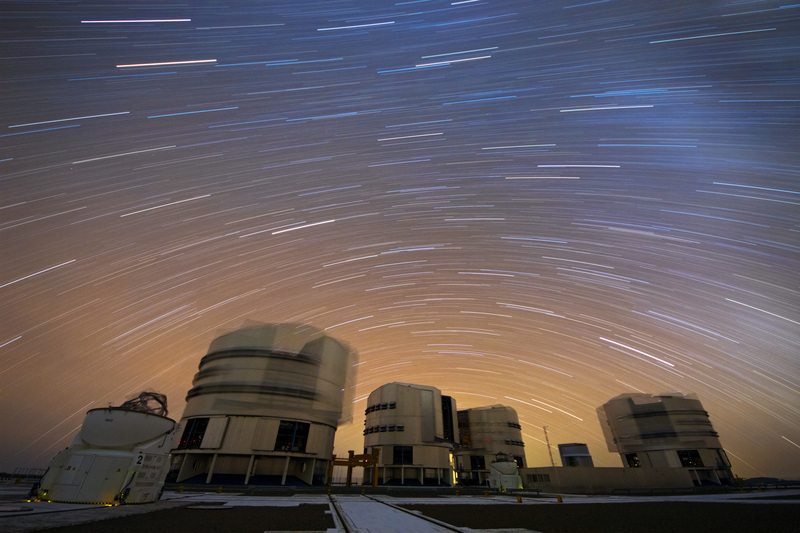 The VLT is ESO's flagship facility. 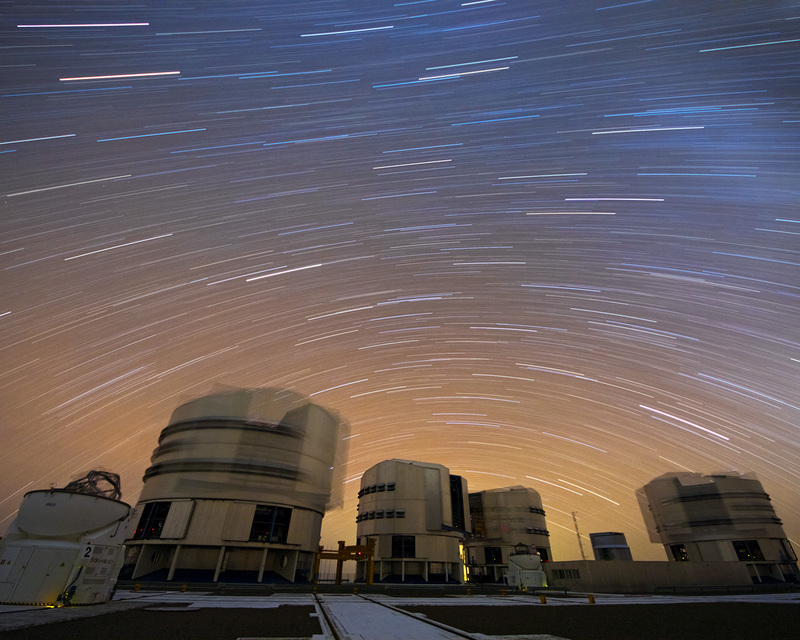 It is of the most productive telescopes in the world, and the most advanced optical instrument ever made.